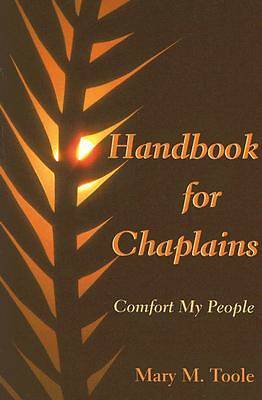 Sometimes chaplains are called on to minister to people of a different faith tradition than their own. Here is a handy little book that will help them accomplish this with appropriateness and grace. Mary Toole focuses on eight different faith traditions. For each tradition, she provides a there is a brief outline of the principle beliefs, information about birth, diet regulations, sickness, dying/death, and appropriate prayers that could be said with patients. She also includes facts about cremation, autopsies, and organ donation. This is a book that no chaplain will want to be without.